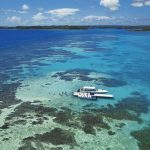 This island hopping holiday combines stays on two of the Caribbean’s Leeward Islands – Antigua, a popular holiday destination which offers a beach for every day of the year as well as plenty of cultural and leisure activities; and Nevis, an easy-going island which offers an authentic taste of the Caribbean. 10 nights from £2610 per person including all flights and transfers. Sample price is for travel in low season, staying in the lowest room type and include current special offers. Begin your island hopping holiday by flying to Antigua, where you stay at the exclusive Inn at English Harbour. 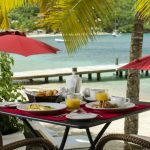 The family run hotel is set on a white sand beach within tropical gardens, positioned on a wooded headland at the entrance to the historic English Harbour. 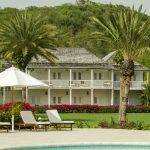 The colonial-style hotel blends history and charm, offering luxury living in stylish suites as well as excellent restaurants serving some of the best cuisine on the island. The Inn at English Harbour has its own sandy beach with a private jetty, offering complimentary activities including sailing, kayaking and snorkelling. 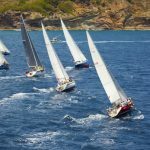 Just a few minutes away from the hotel are English Harbour and Falmouth Harbour, both popular marinas with plenty of bars, restaurants and boutiques. The focal point of English Harbour is Nelson’s Dockyard, a historic naval dockyard where Horatio Nelson lived in the 1780s which is now home to a small museum. Overlooking the area is Shirley Heights, a bluff containing the ruins of Fort Shirley where a weekly party is held with a barbecue and local bands playing for locals and tourists. Antigua is a small island which allows visitors to travel from one end to the other in under one hour. Jeep safaris offer an insight into Antigua’s history, with visits to many of the island’s top tourist attractions including sugar plantation and the capital, St Johns. There are 365 beaches to choose from, many with calm waters which are suitable for swimming and other water sports including scuba diving. Stingray City is a popular destination where visitors can pet stingrays, swim with tropical fish and snorkel over a colourful coral reef. 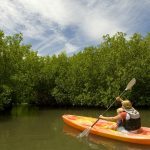 Other available excursions include ziplining through the rainforest, kayaking through mangroves, helicopter tours over Montserrat and daytrips to the neighbouring island of Barbuda. Find out more about things to do in Antigua. 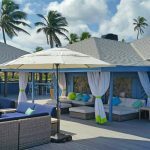 After five nights in Antigua, take a local flight to St Kitts then continue onwards to Nevis by boat, a short journey followed by a taxi ride to Nisbet Plantation Beach Club. 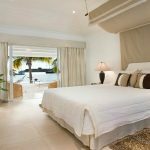 Nisbet Plantation Beach Club is an elegant hotel in an idyllic setting within tropical gardens which lead down to a white sand beach. The property also offers an outstanding level of service and excellent cuisine, with accommodation in charming cottages which are dotted around the hotel’s grounds. 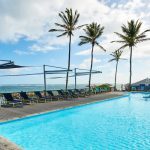 The focal point of the hotel is the Great House where afternoon tea and dinner are served, while breakfast and lunch are available at more casual, beachfront dining venues. Days can be spent relaxing on the beach, by the pool or in one of the resort’s many hammocks. 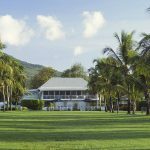 Alternatively, Nevis has a lot to offer guests who wish to get out and explore. The island is almost untouched by tourism, allowing visitors to enjoy the easy-going atmosphere and savour the island’s colonial history. Lush green vegetation tumbles down from the hillsides to secluded, palm fringed coves and sun drenched beaches. Activities include scuba diving, horse riding, playing golf or hiking through rainforests. Spend five nights on Nevis, then return to St Kitts by boat and take a flight back to the UK. Flights with British Airways in Economy from London Gatwick to Antigua and from St Kitts to London Gatwick. Inter-island flights with a local airline from Antigua to St Kitts. 5 nights’ half board at the Inn at English Harbour sharing a Beach Cabana. 5 nights’ half board at Nisbet Plantation Beach Club sharing a Superior Room.